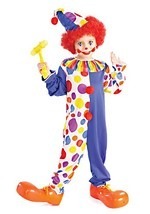 Clowns may look like they're just a bunch of goofy dummies running around like idiots, but there are actually a few rules to being a classic clown. 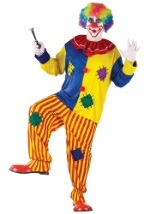 They're only really allowed to speak by using actions or sound effects, so you I'll have to get pretty inventive with your miming skills if you're going to get your point across. 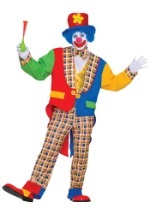 The second thing is there are a bunch of classic jokes that you have to put into your repertoire. 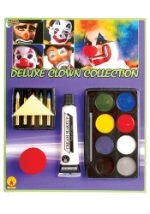 There's always the classic pies in the face, fantastic balloon animals, and of course, the water squirting flower. This Halloween, treat everyone to a sniff of this giant squirting flower(if you can call this prank a treat)! 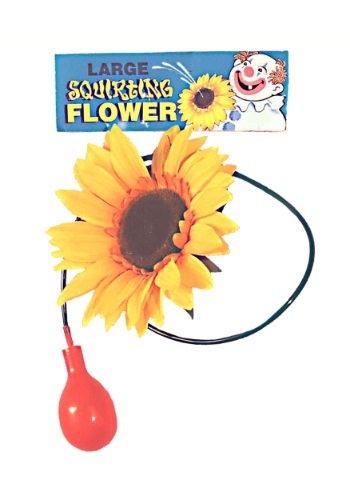 Catch them off guard with the costume accessory that pins onto the shirt and consists of a bright yellow flower attached to a red squirting mechanism by a long tube (please note the flower is all yellow and does not feature a black center). 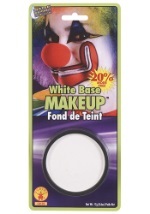 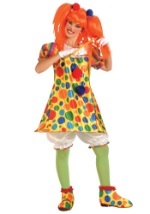 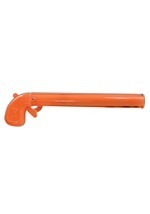 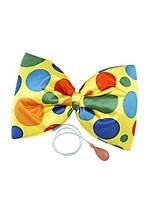 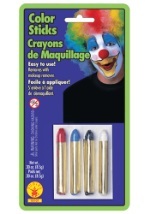 Wear this fun prop with any of our clown costumes for an entertaining look!